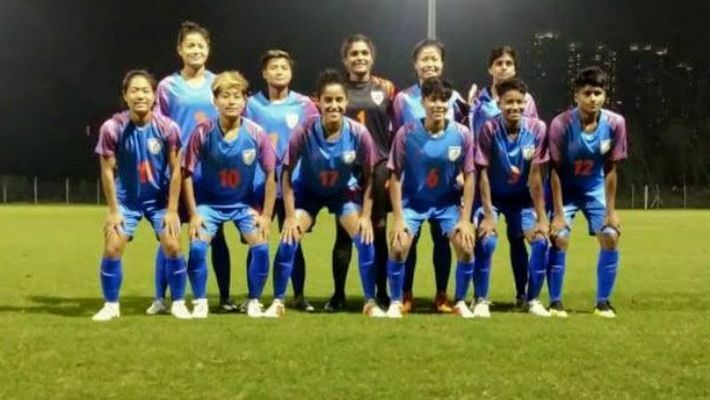 New Delhi: As part of their preparations for the Tokyo 2020 Olympic qualifiers Round 2, which is slated to be held in April, the Indian women’s football team, coached by Maymol Rocky, will be playing a friendly against Hong Kong on Wednesday in Hong Kong. After this game, the team will travel to Indonesia to play two more friendlies against Indonesia on January 27 and 30. Both Hong Kong and Indonesia have also qualified for the Round 2 of the 2020 Olympic qualifiers. Head coach Rocky stressed that the team needs to prepare well for the forthcoming second round of the Olympic qualifiers. “The second round of the Olympic qualifiers is a chance for us to make history. It’s important that we prepare well for tougher challenges ahead. The friendly matches will help us gain some invaluable practice, thus helping us to gauge for ourselves where we stand,” he stated. “I thank the AIFF and the SAI for arranging the matches that will help us develop more as a team. Collectively, we are a tough bunch of girls to play against. We will give our best on the pitch. The friendly matches help in fuelling our flame for the future,” Rocky added. The Indian senior team will also be defending their SAFF Senior Women’s title in March in Nepal. Forward Dangemi Grace agreed that the friendly matches will “help immensely” in the team’s development. “These matches will help us develop as a team, and in team bonding. It will help us to test our skills against some very well equipped teams. We are raring to go, and prove ourselves,” Grace said. The Indian women qualified for the second round of Olympic qualifiers for the first time when they finished second, four points behind hosts Myanmar in the first round. The second round is slated to be held from April 1 to 9, the draw for which is yet to be held. Goalkeepers: Aditi Chauhan, M Linthoingambi Devi, Sowmiya Narayansamy, Shreya Hooda.